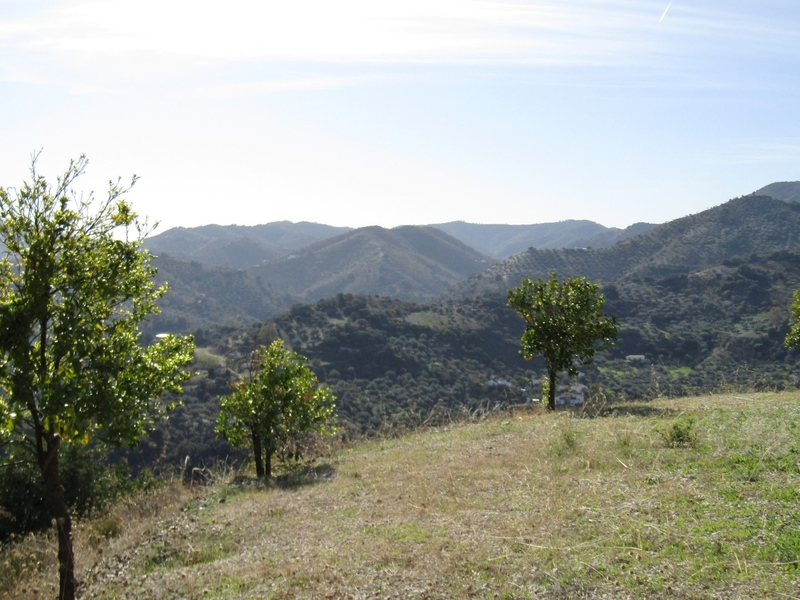 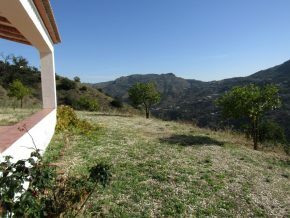 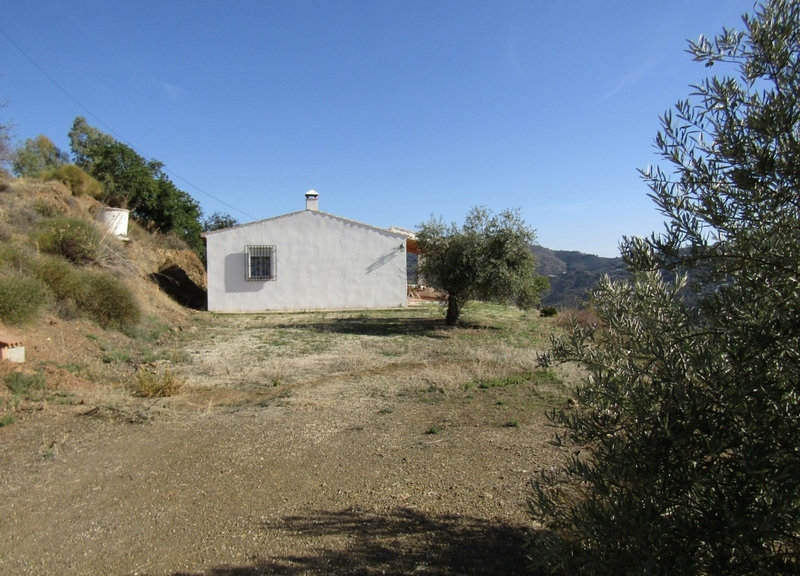 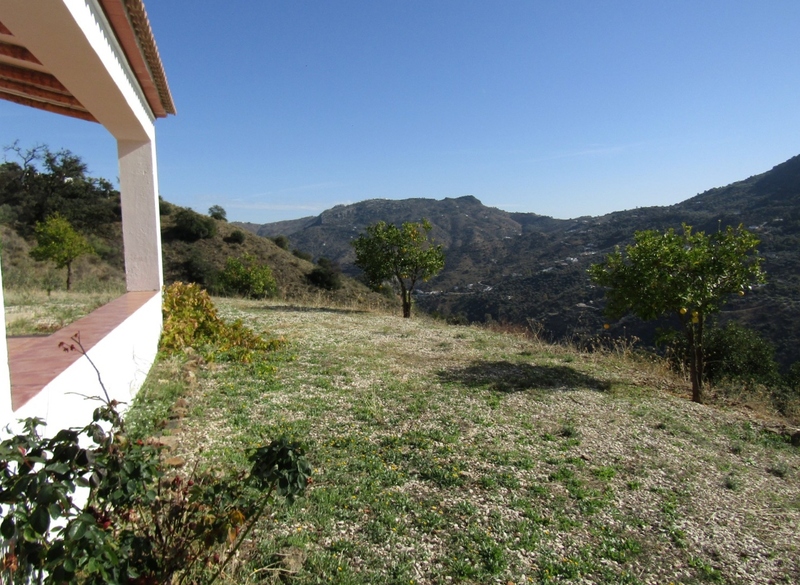 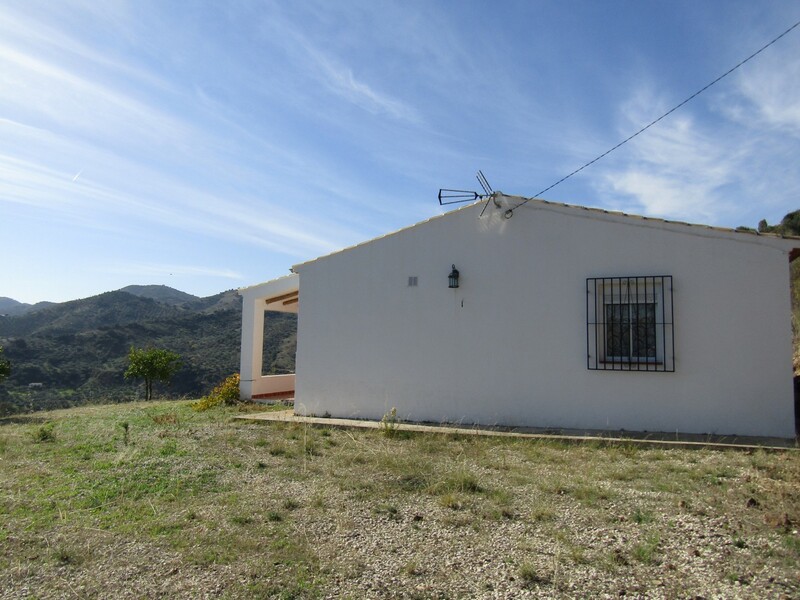 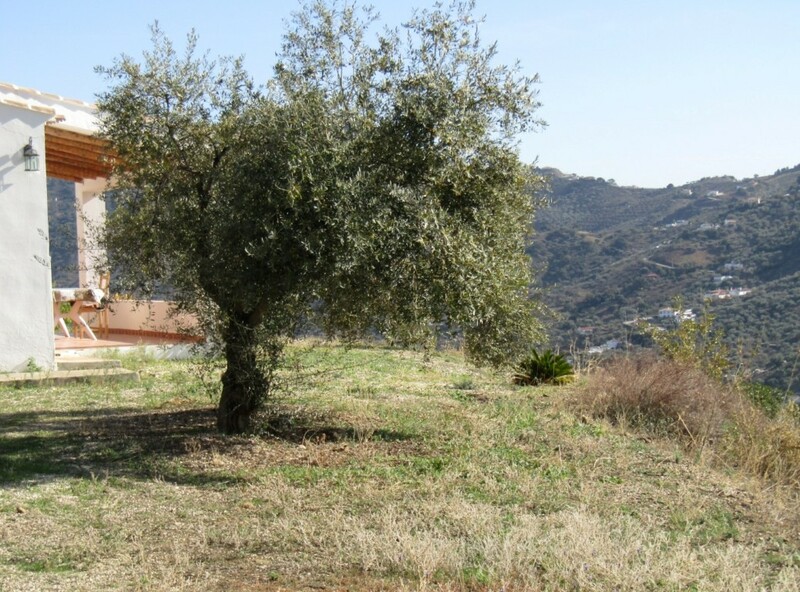 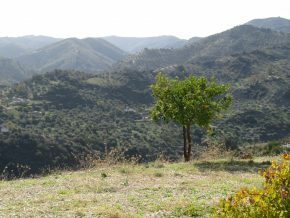 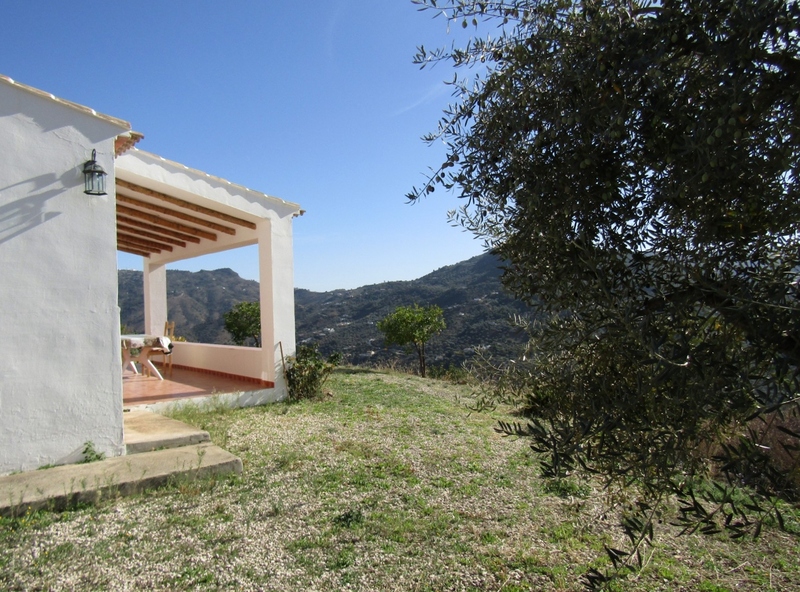 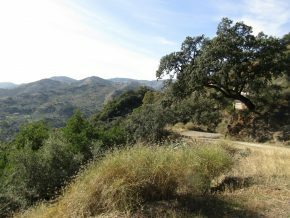 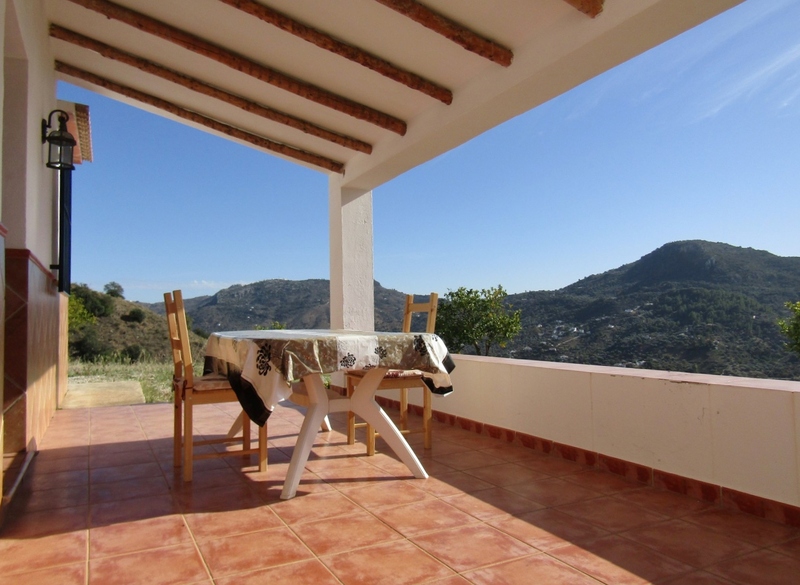 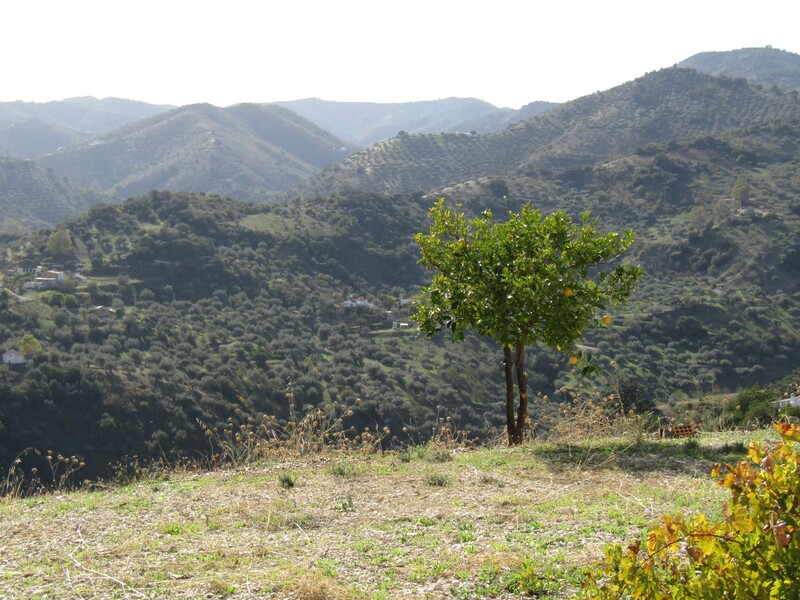 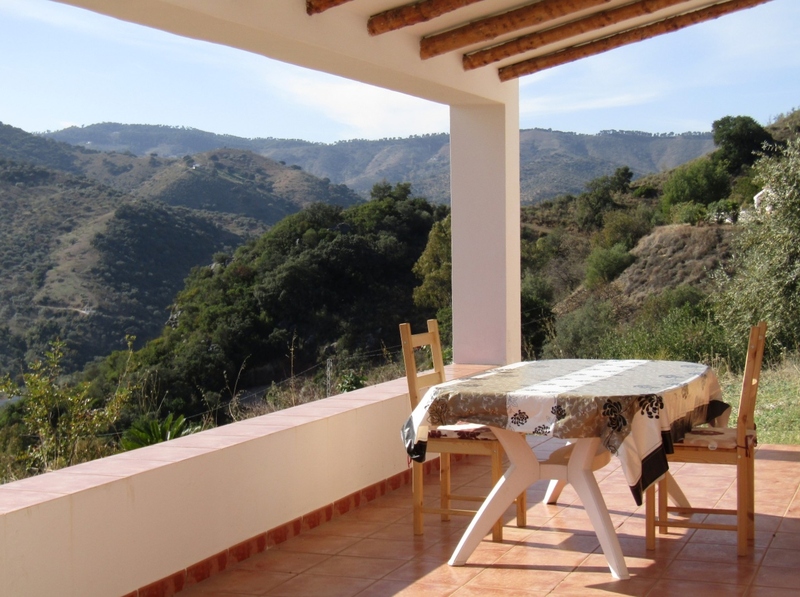 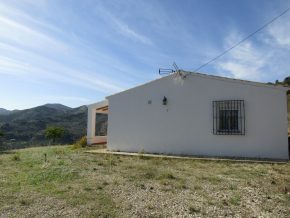 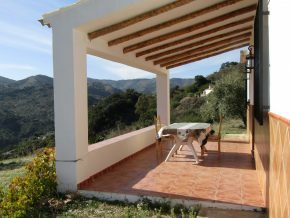 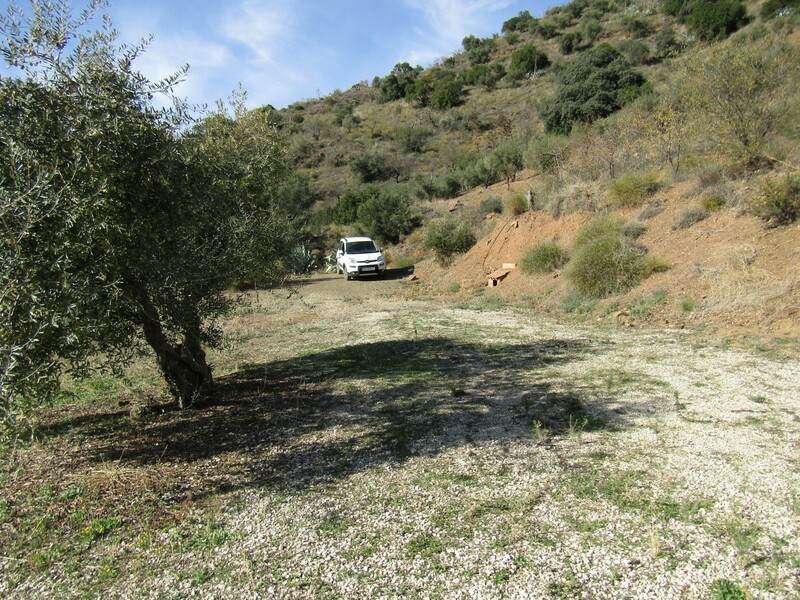 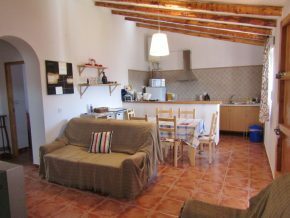 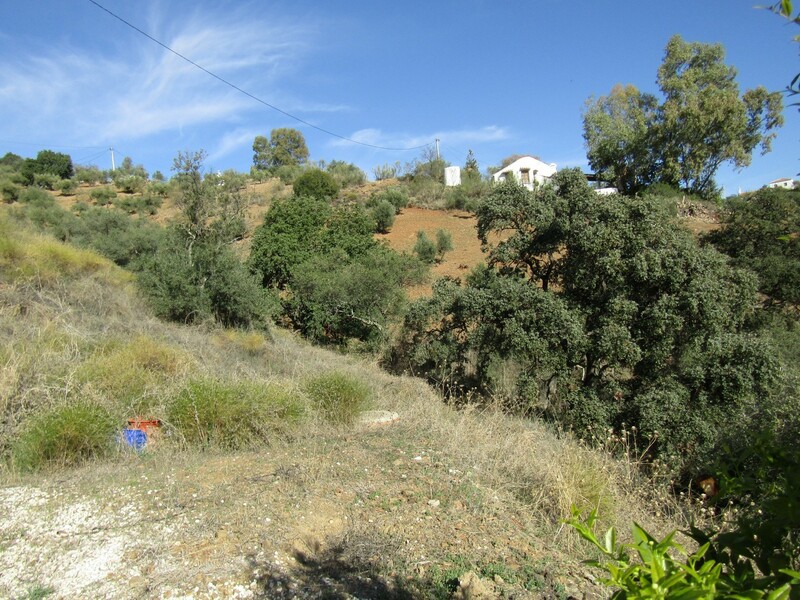 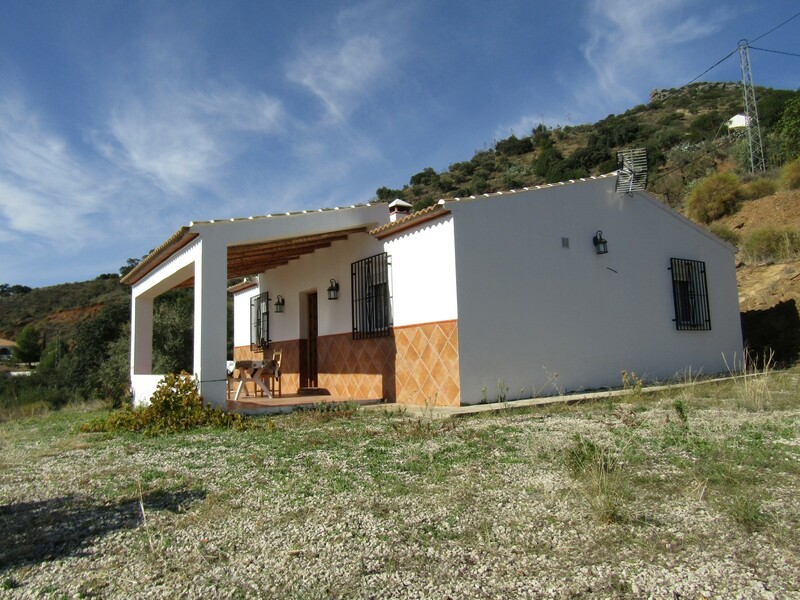 This rather lovely 3 bedroom country house is located in an area of particular beauty, very natural and totally unspoilt, in the mountains to the South of Colmenar. Click here to view a short video of the wonderful view from the house. 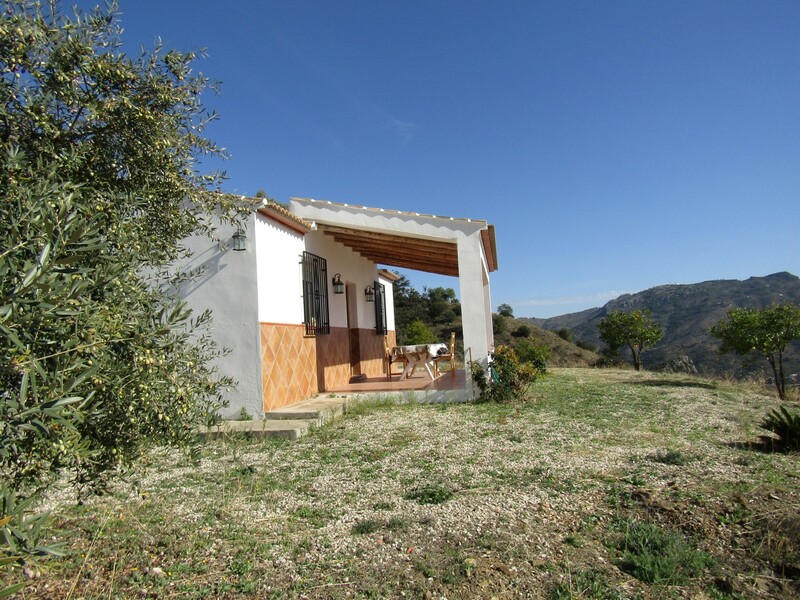 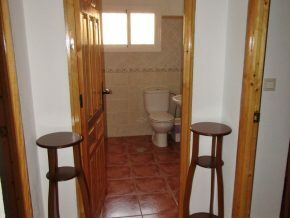 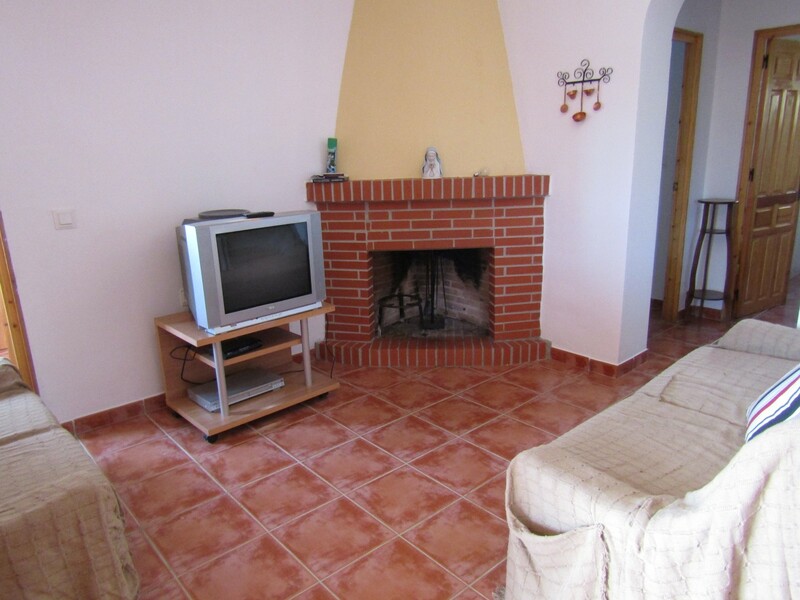 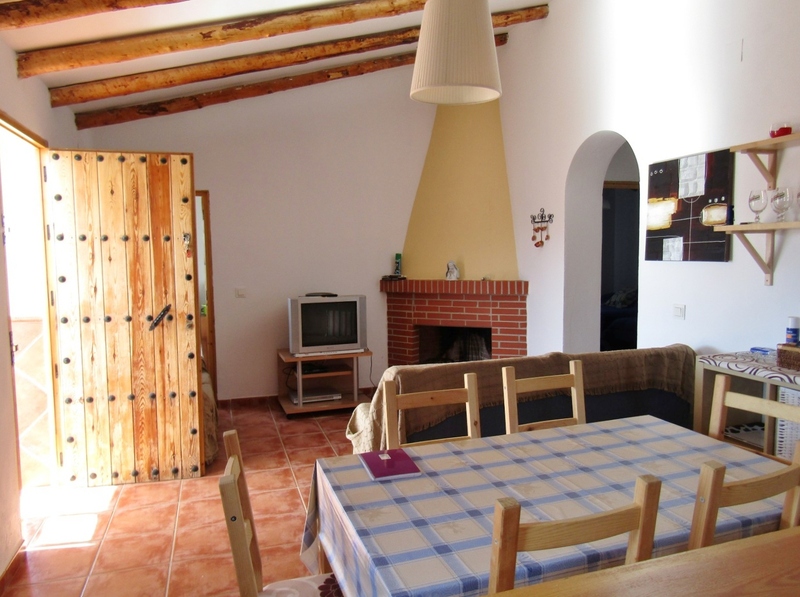 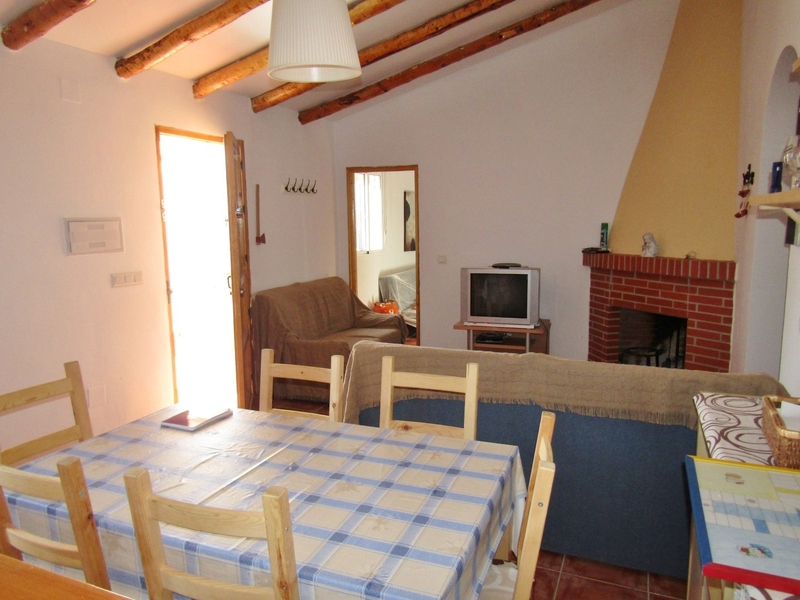 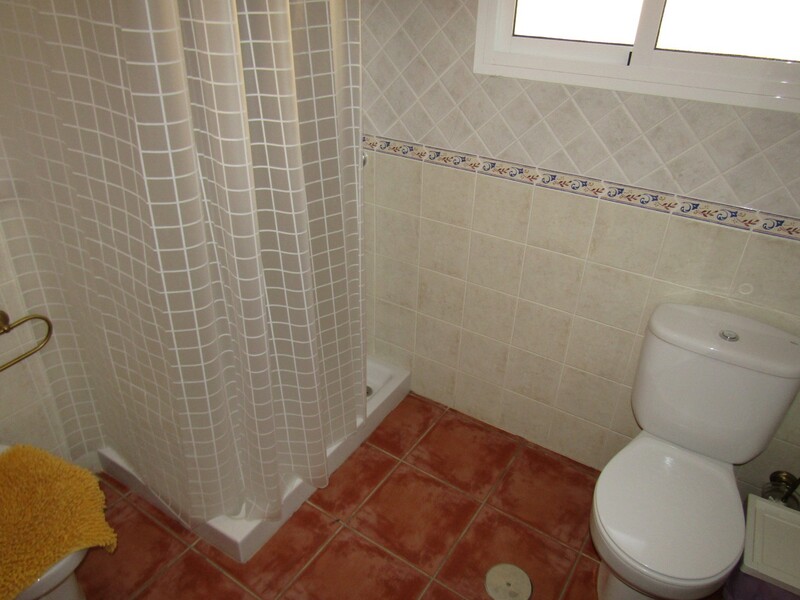 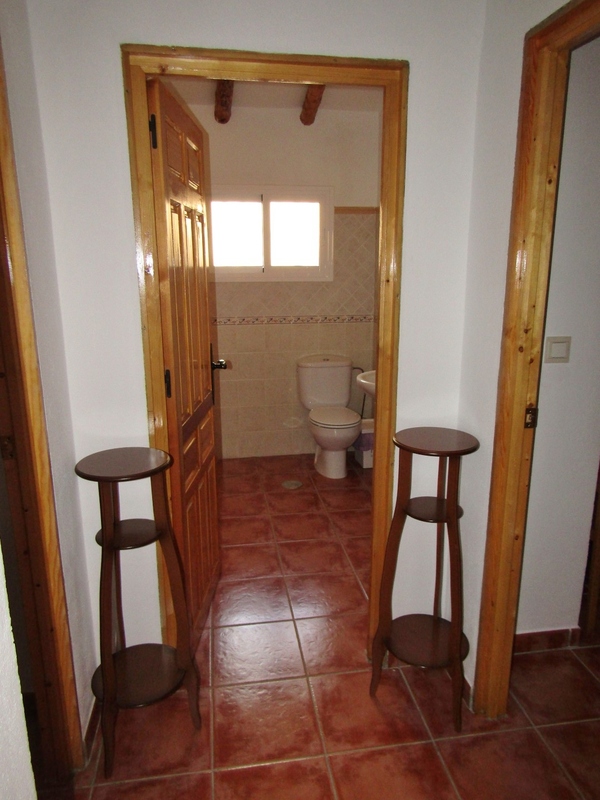 This is a modern house with rustic features, built around 2001 on a plot of just under 3,000m2 with a good sized flat garden and car parking area. 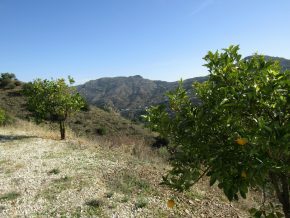 It is called Los Naranjitos because of the young orange trees planted in a semi circle to the front of the house, framing a beautiful view from the covered terrace of the house. 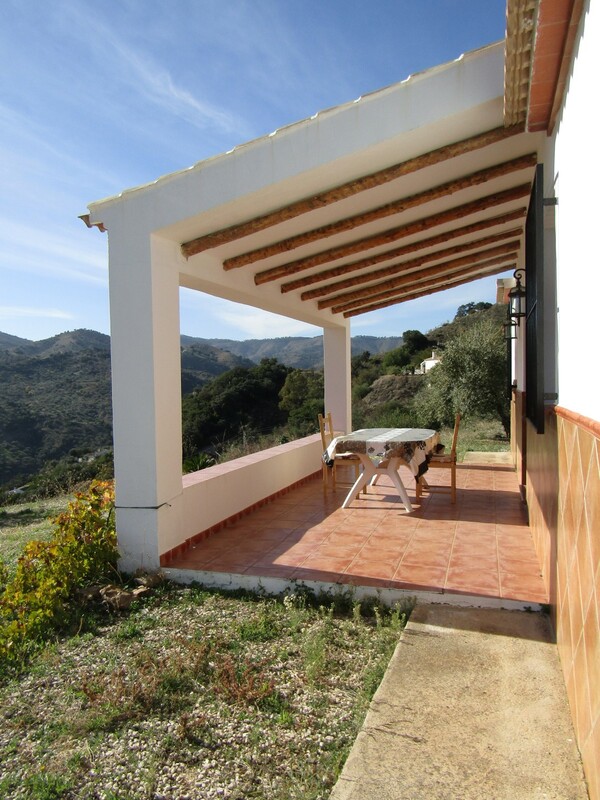 The terrace has a tiled roof with beamed ceiling (16m2), providing vital shade. 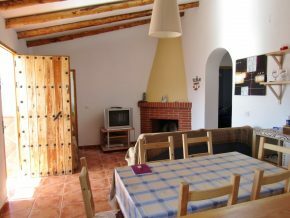 From the terrace a rustic wooden Andalusian door leads into the living area, which combines the living and dining room area and a corner open fireplace, and the kitchen, divided from the rest of the area by a breakfast bar/worktop. 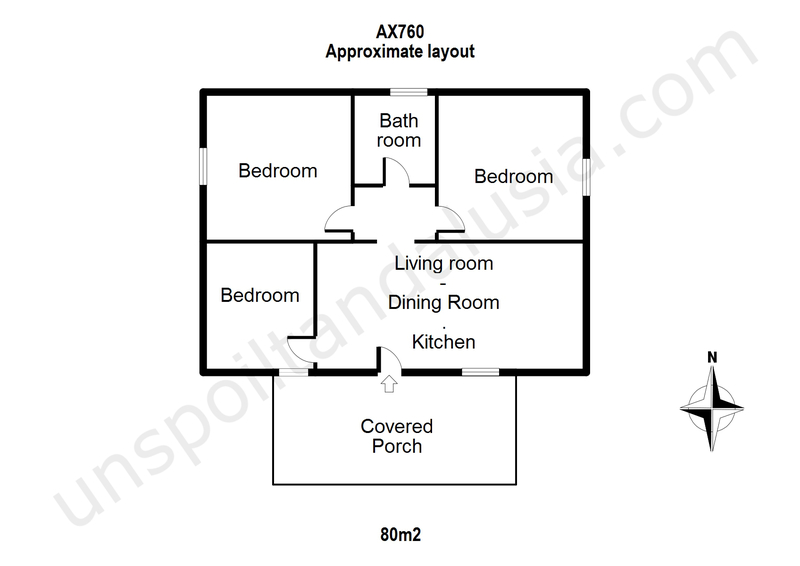 This area is 7.5 x 3.5m and has sloping ceiling with beams. 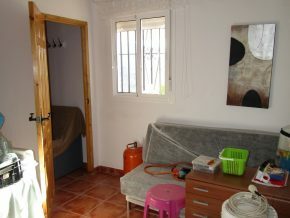 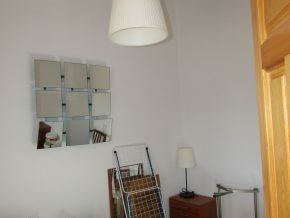 To the left of the living area a door leads into the front bedroom (3.5 x 3m). 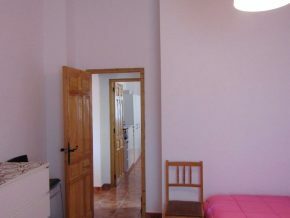 To the rear of the living area, an arch leads to an small area, giving access to bedroom 2, to the left (4 x 4m), the bathroom, straight ahead (2.5 x 2.25m with shower unit), and bedroom 3 to the right (also 4 x 4m). 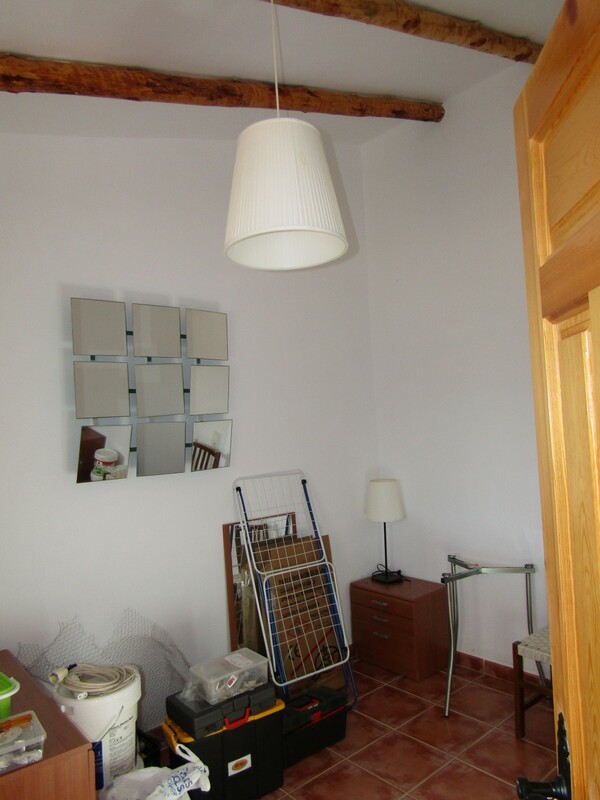 The rooms all have beamed ceilings. 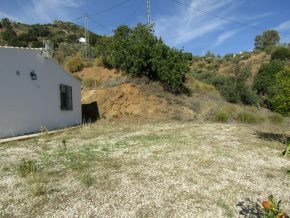 The plot beyond the flat garden area slopes down the hill, providing a wonderful, open view facing South, with plenty of sunshine. 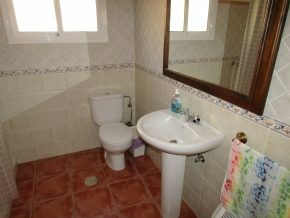 This lovely little gem of a property is on the market for a bargain price. 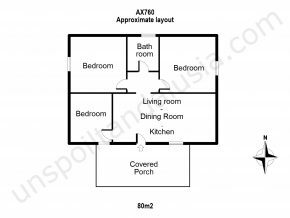 The house is fully registered and has no boundary issues. 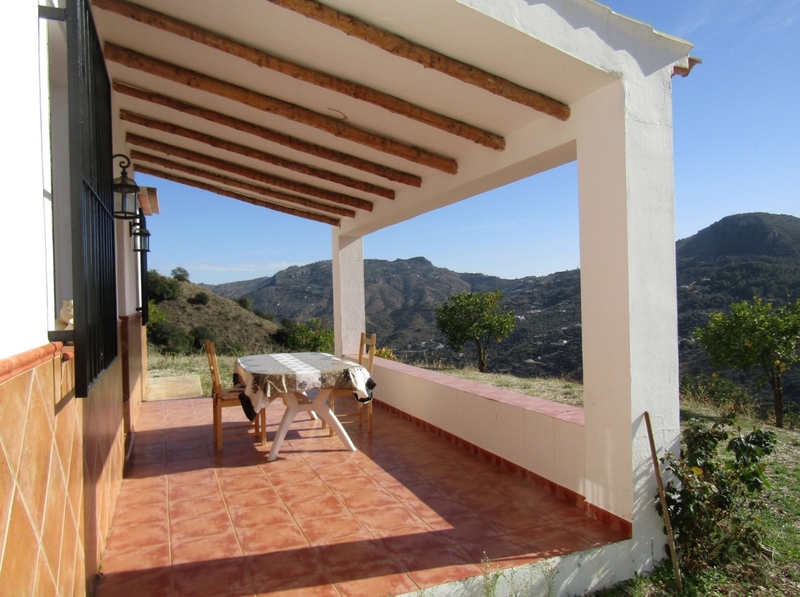 There is a little country bar/restaurant nearby where all the locals gather and a great place to quickly get to know everyone. 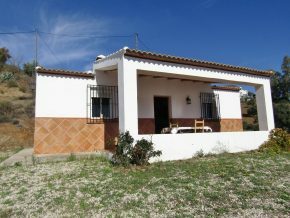 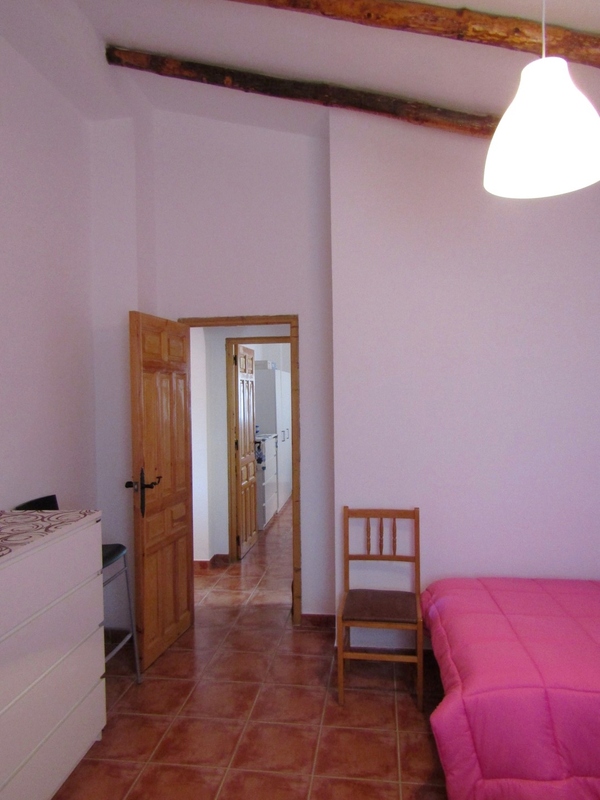 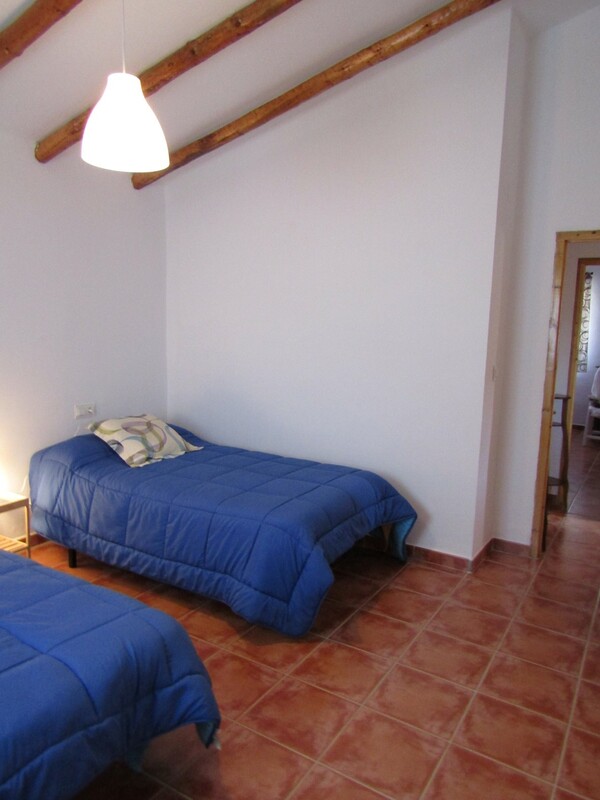 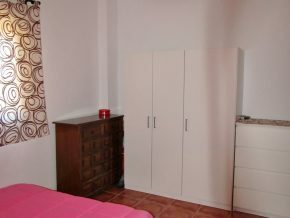 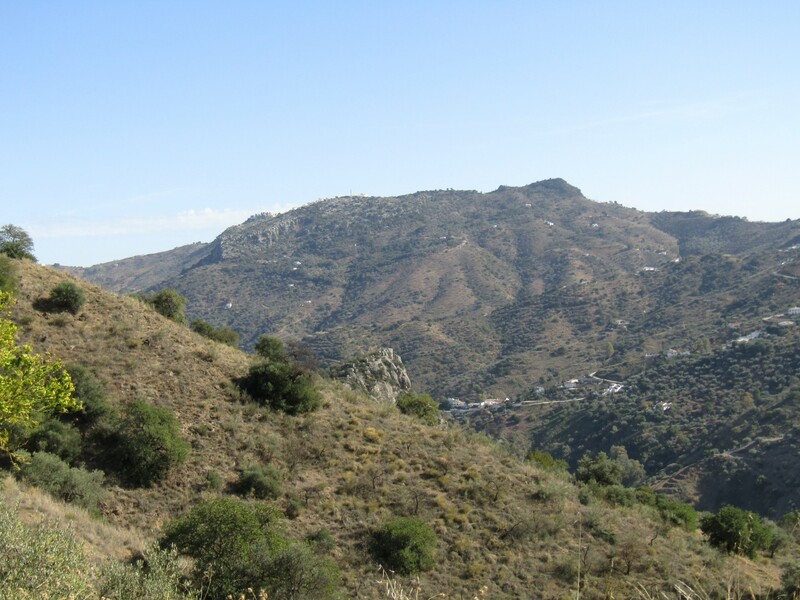 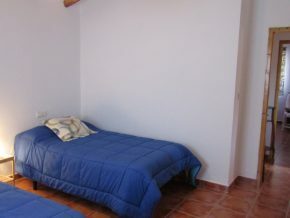 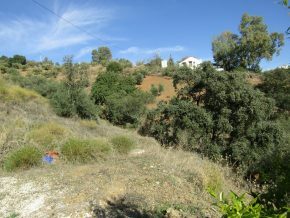 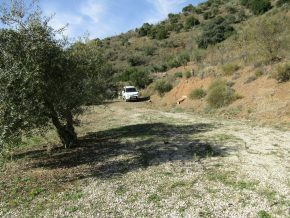 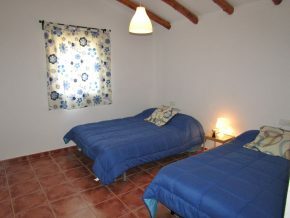 The country town of Colmenar is 15 minutes’ drive, Comares 20 minutes and Riogordo 20 minutes. Malaga is easily reached, within 45 minutes. 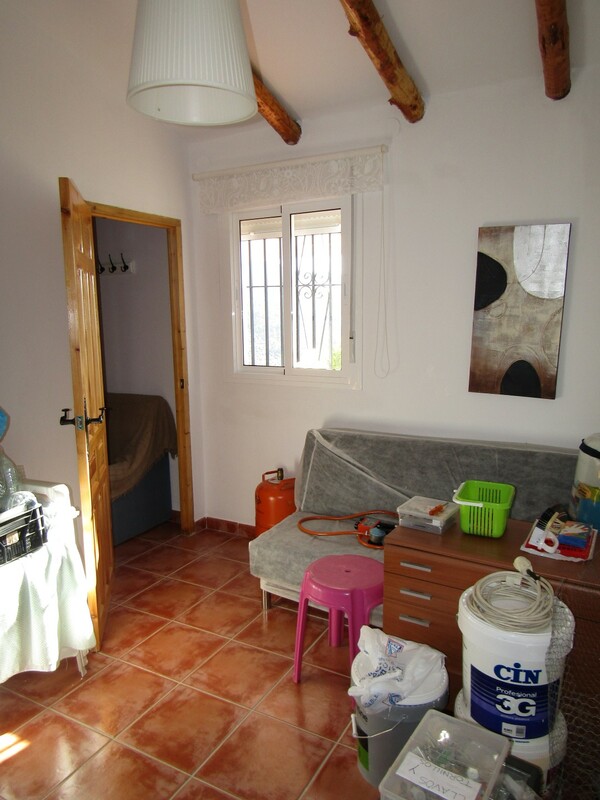 – Council tax (IBI) 170 Euros p.a.